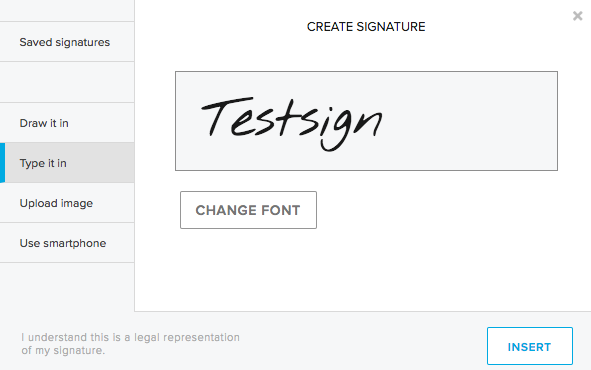 How to sign a Data Processing Agreement with Jottacloud. To comply with GDPR, European businesses located in EU or EEA countries are required to sign a Data Processing Agreement (DPA) if they store costumer information and personal data on a cloud storage service belonging to another business. 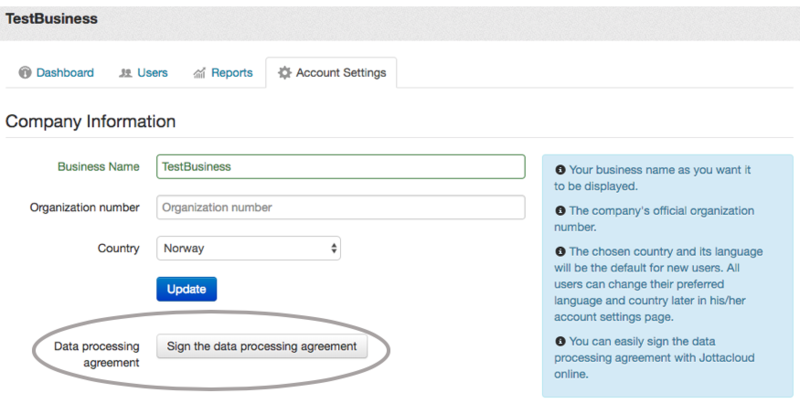 As a business administrator you can now easily sign a Data Processing Agreement with Jottacloud through our website. After the agreement has been signed you will get a copy sent to your email. 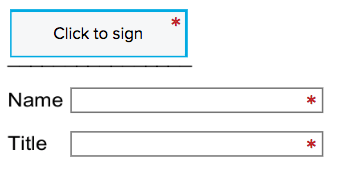 You can also find the contract under Business settings after it is signed. Start by going to your Business account settings. Note that only business administrators have access to the Business settings. 6. Choose how you want to sign and click "Insert"
A Data Processing Agreement ensures that personal data is processed in accordance to the GDPR and sets a clear framework for how the data processor can process information. The agreement is between a data controller (the business) and the data processor (Jottacloud), important in ensureing that both parts understands their responsibility. To comply with GDPR and the Data Protection Authority, we recommend signing a Data Processing Agreement for your business if you store costumer information and/or personal data on Jottacloud. Read more about Jottacloud and GDPR compliance.